Tom Dwan, best known by his online alias “durrrr” is an American poker pro who emerged into the high-stakes online poker scene in 2007. 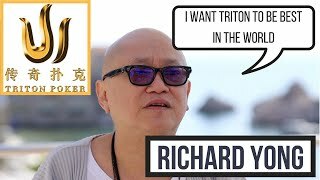 He first started playing poker online in 2004 at the age of 17 and in three years he climbed up the stakes ladder to the biggest digits available online. At that time Full Tilt Poker was the place for all the high-stakes poker action and Dwan became a regular at the heads-up nosebleeds. 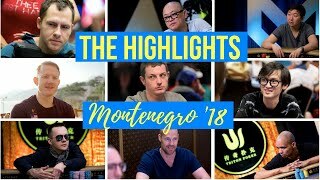 He was playing against some of the biggest names in online poker including Frederick Halling, Prahlad Friedman, Phil Ivey, Ilari Sahamies, Patrik Antonius, Brian Townsend, Viktor Blom and others. Playing big stakes at the online tables Dwan had enjoyed big upswings as well as suffered huge downfalls. He would win and then loose millions of dollars in just a few days or even a couple of hours playing heads-up on Full Tilt. Dwan also took part in a number of record-breaking hands played online scooping and losing some of the largest pots in the online poker history. 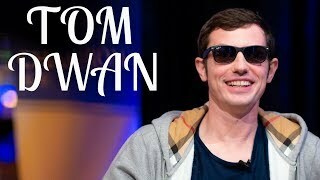 Tom Dwan was born in Edison, New Jersey in 1986. He started playing poker online on Paradise Poker at the age of 17. He made his first deposit with $50 which Dwan received from his father for his 17th birthday. He was soon able to turn profit from his investment and went on to play at higher stakes. In 2005 Dwan cashed in his first major live tournament, the £3,000 European Poker Tour Main Event in London where he finished in 12th place for £7,000. 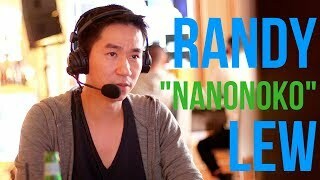 Although Dwan is best known for his performance in the online games, he also has a decent record playing live tournaments and cash games. His lifetime tournament winnings exceed $2 million with some deep runs and a couple of final tables in the most prestigious live poker circuit, the World Series of Poker. However, scoring big cashes and making final tables is not the same as winning titles as Dwan has yet to score poker's most desired trophy, the WSOP bracelet. Dwan came close to his first bracelet in 2010 when he finished second at the $1,500 No-Limit Hold'em after losing the heads-up battle to New Zealand's Simon Watt. Dwan collected almost $400,000 for his runner-up finish. A year later he made another WSOP final table, but only managed to make it to the 5th place at the $10,000 H.O.R.S.E. event for $134,480. Although Dwan had only cashed in three WTP events, his total winnings exceed $730,000. He made his first WPT money finish in 2007 when he final tabled the World Poker Finals $9,700 Championship Event in Mashantucket taking home more than $300,000. The next year Dwan doubled his score by finishing 2nd in the Borgata Winter Open $ 5,000 No-Limit Hold'em event for over $200,000 and then scoring 9th place at the Five Star World Poker Classic $25,000 Championship Event collecting just over $180,000. Tom Dwan scored his first tournament cash in 2005 when he finished in 12th place at the £3,000 EPT Main Event in London. He took home £7,000 in prize money which still marks his only EPT money finish. Dwan is also known for appearing on some of the most of popular TV poker shows including Full Tilt Poker Million broadcast on Sky Sports, Poker After Dark, GSN's High Stakes Poker, NBC's Late Night Poker and National Heads-Up Poker Championship as well as Dwan's own Full Tilt Poker Durrrr Million Dollar Challenge which was televised on Sky Sports as well. Dwan also appeared on PartyPoker's exclusive Premier League where he played against some of the best players in the field. He also has a record of two money finishes at the Aussie Millions. Dwan signed a deal with the Full Tilt Poker online poker site in November 2009 and became a member of Team Full Tilt. The cooperation lasted for almost three years before Dwan left the team in October 2012 after Full Tilt lost its Alderney e-gaming license and was unable to proceed its operations. In 2009 Dwan Scooped the biggest pot in the history of televised poker when he won a $1.1 million pot from Phil Ivey at the Full Tilt Poker's Million Dollar Cash Game. In May 2012 Dwan won the biggest pot in poker history collecting $3.8 million in a cash game he played in Macau.